So, it’s election day. 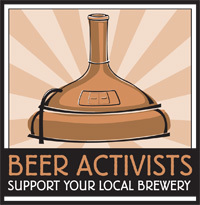 You’ve voted, or are thinking about voting, and you deserve to be rewarded for it (GO VOTE – and don’t forget to educate yourself on who supports Sunday Sales, courtesy of MNBeerActivists). Be thankful you live in Minnesota, not Kentucky or South Carolina, where you can’t buy alcohol on Election Day. Although it is illegal to drink and vote (obvi), here is a [CONSTANTLY UPDATED LIST OF] few Twin Cities deals that your coveted “I Voted” sticker can get you, after you vote. Sisyphus Brewing: $4 beers all day with “I Voted” sticker as well as a special barrel-aged beer from their cellar on tap. Town Hall Brewery: $1 for a pint at any Town Hall restaurant with “I Voted” sticker and FiveStars rewards card. Fair State Brewing Coop: $1 off all beer and NA options in addition to a results viewing party 8-11pm. More importantly, you should consider #TonkTheVote – vote for Charlie Tonks for Best Craft Beard in Growler Mag’s Kind-of-a-Big-Deal Awards. Modist Brewing: With your “I Voted” sticker get pPhresh – $3 for a pint, $2 for a tulip or a growler fill for $10. Election night at Modist. Anyone wearing a fresh I Voted sticker gets pHresh pints for $3, pHresh tulips for $2, and pHresh growler fills for $10! We'll be showing the election coverage, and we also have some bottles of Lord Humungus left if you want to appropriately prepare for the apocalypse. Norseman Distillery: Not beer, I know, but $5 Harvey Wallbangers all night is a great idea! Even liquor stores are getting into it! Lowry Hill Liquors is giving 10% off non-sale alcohol with your “I Voted” sticker.